Which TV Character Would You Most Like to Meet? 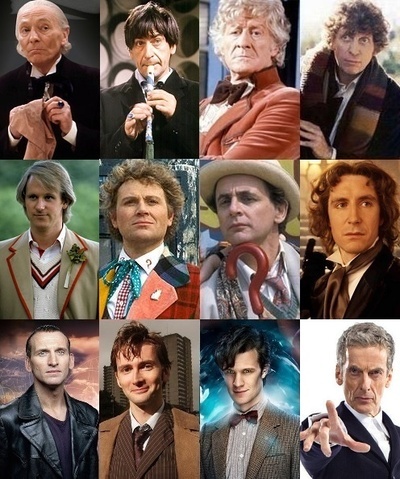 I think I would most like to meet The Doctor from Doctor Who. How much fun would it be to travel through time and space? I love space and I love history so that would be amazing. The only drawback would be all of the life threatening situations you'd wind up in, and all the running! Do you have a favourite character you would love to meet in real life? Great question. I have to confess, the first name that popped into my head was Mr Darcy. That would be very romantic indeed! Captain Picard from Star Trek The Next Generation was who popped in my head. Probably Geraldine Granger from the Vicar of Dibley. Which Unheard of TV Show Can You Recommend? Sherlock: is Quality or Quantity Better? What do You Think of Peter Capaldi on Doctor Who? Which is Your Favourite Clone on Orphan Black? What Do You Think of Andrew on Sunrise? Which 'The Misfits' Power Would You Like?